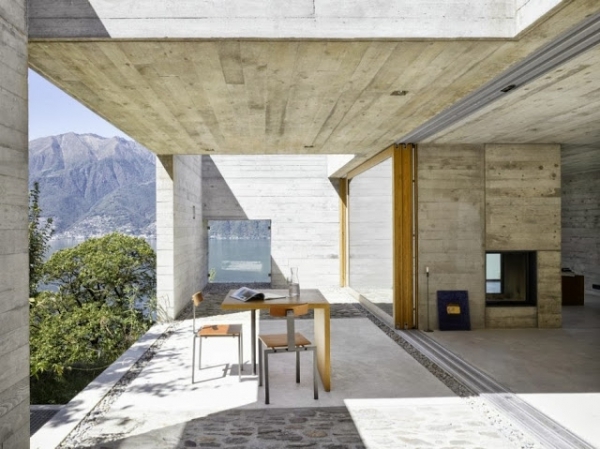 This is a stunning concrete house. 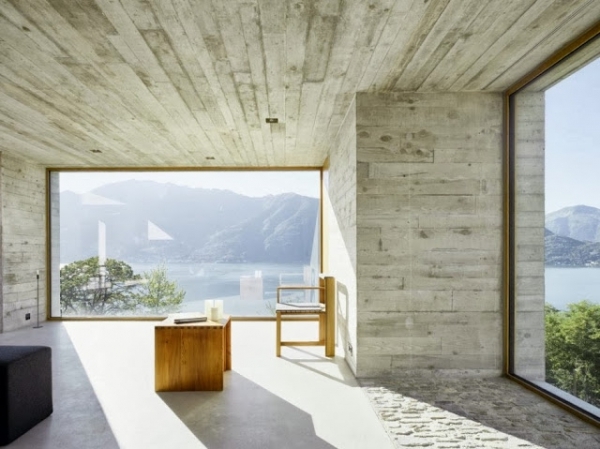 Located in Sant’ Abbondio in Switzerland, this beautiful home was created by Wepsi de Meuron. 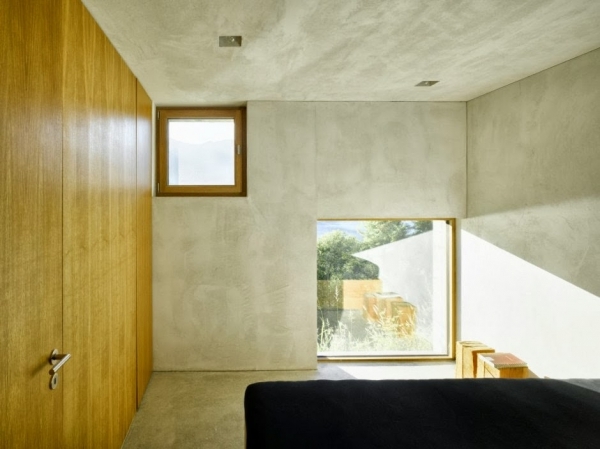 The relationship between the cool concrete and the warm wood is fantastic in this concrete house. 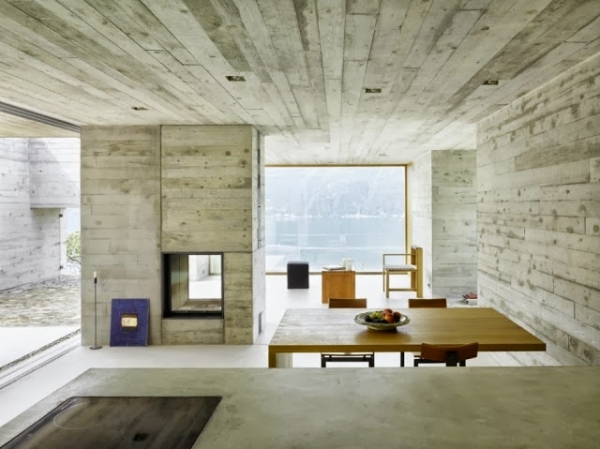 The variations in the concrete are positively stunning, adding interest to this simple but exciting design. In this space, large windows provide a lot of natural light and gorgeous views. A wooden table and chair create an amazing little relaxing space. We could sit in this seating area and stare at the beautiful mountains and serene water all day. This home has a wonderful indoor/outdoor experience, and we adore the beautiful stone on the floor. This area uses the stone to designate the patio-like space. This is the perfect spot for morning coffee. A modern wooden table is surrounded by two wooden chairs, keeping the design simple and letting the architecture of this concrete house speak for itself. The dining area continues with the wooden furniture creating a cohesive design. A fireplace adds a cozy factor to this gorgeous home, and a slender candle sits next to it. 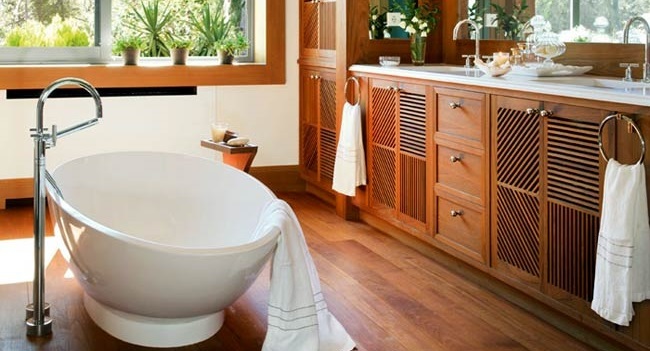 We love the addition of the simple décor, it brings a bit of color, and a bit more interest to the space. 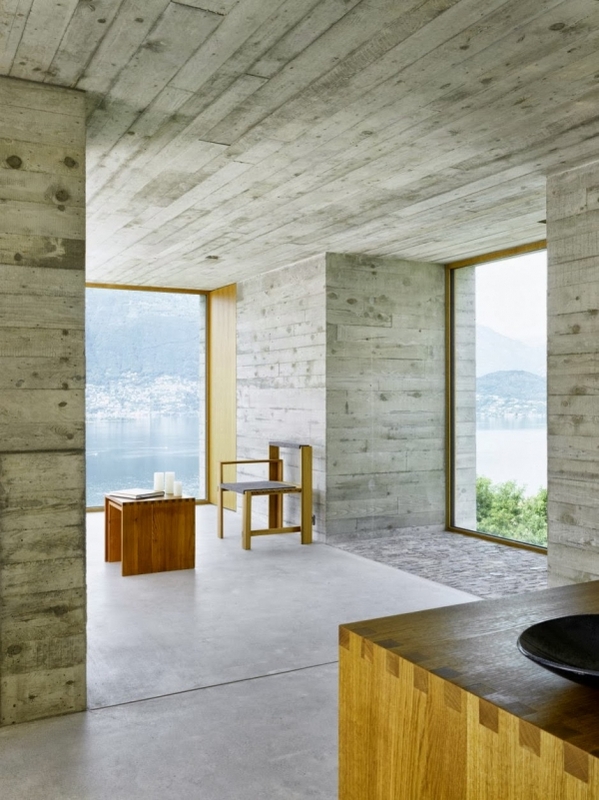 The kitchen island is made of wood and concrete, continuing the theme seen in the other areas of the house. The windows in the bedroom are fabulous. A large square window is placed near the floor, and a smaller square window is placed near the ceiling, bringing a unique touch to this outstanding home. 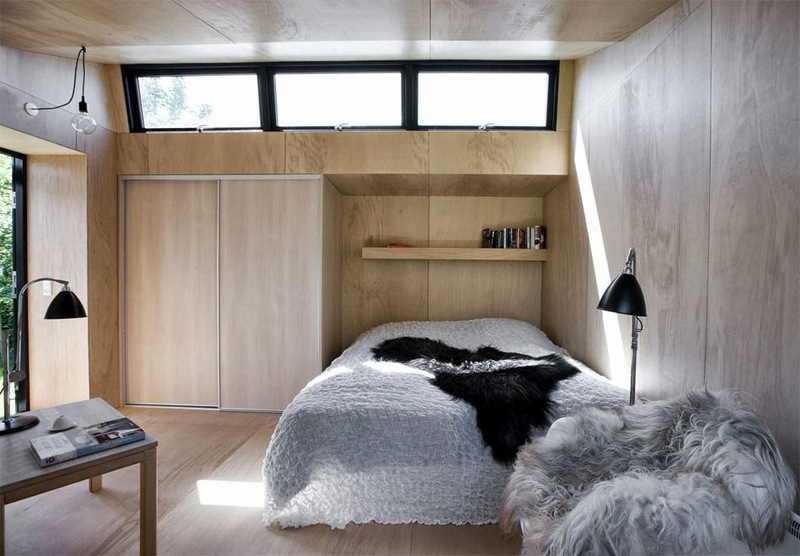 The walls and ceiling are made of wood and concrete, and a bed with black bedding occupies the space. Those views are absolutely breathtaking, it’s such a gorgeous landscape. What do you think? 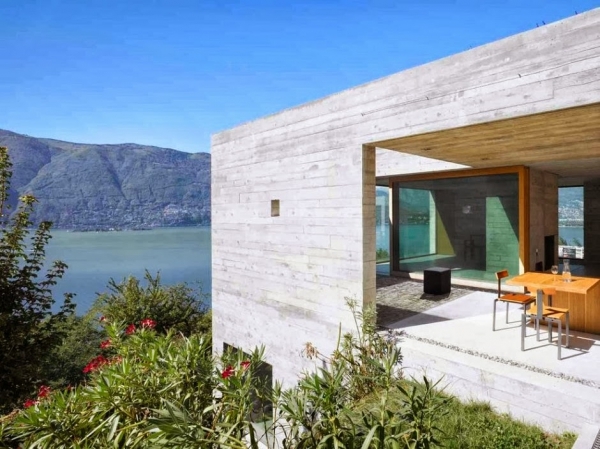 Do you like this concrete house?